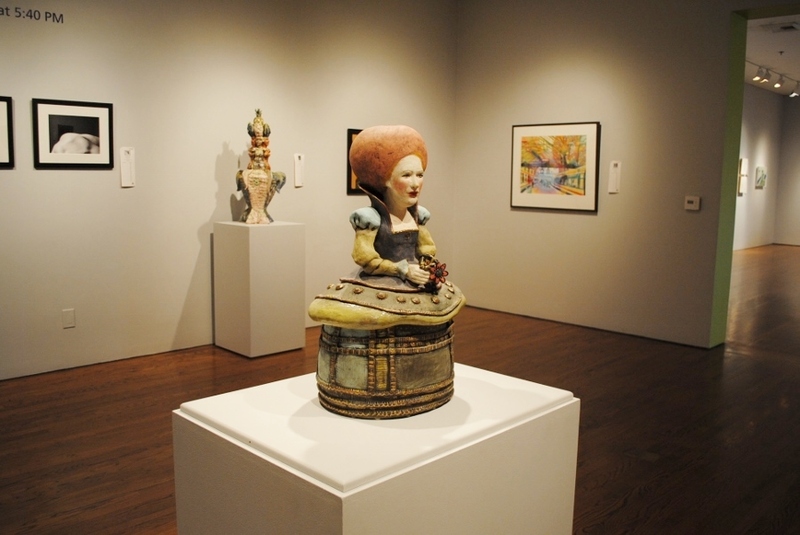 More than 150 original works of art will be on display at the Long Beach Museum of Art’s (LBMA) free Art Auction XVI Exhibition through Saturday, May 30. The exhibition opened today and will showcase juried works that will be for sale for the museum’s Art Auction XVI event on May 31.
Notable works to be seen include David Choe’s watercolor portrait, Ginger, Matt Wedel’s ceramic Flower, Martin Wittfooth’s Royal Bath, Esao Andrews’ Sybian #1 and several works by Young Il-Ahn. A number of the artists have shown in recent exhibitions at LBMA, such as Masterworks: Defining a New Narrative and A Memoir of Water: Works by Young-Il Ahn. 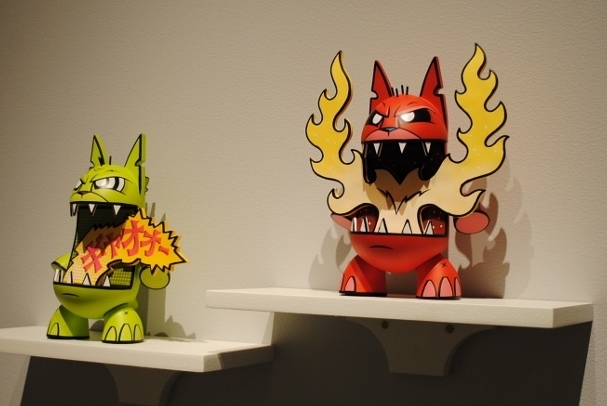 The museum invites visitors to see works of art by some of today’s most desirable artists including Nathan Spoor, F. Scott Hess, Adonna Khare, Patti Warashina and many more for free during regular museum hours. 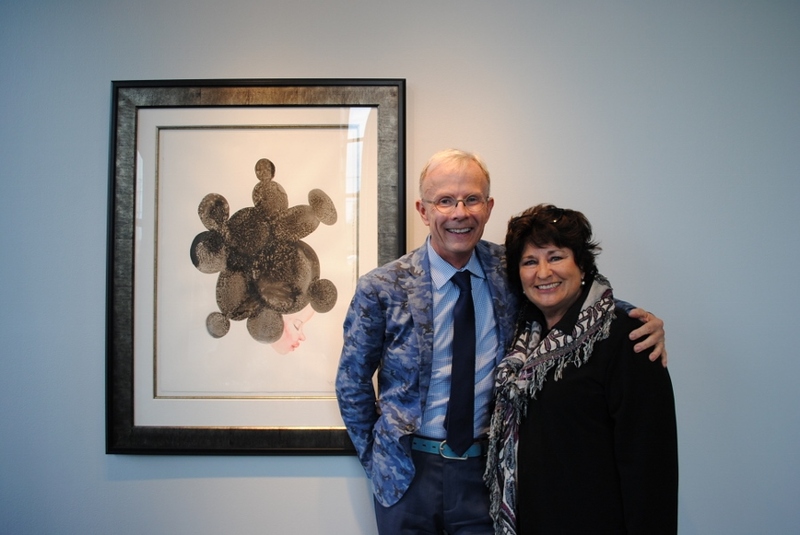 Elena Marty co-chaired the planning of the auction exhibition alongside Caryl Thomason. All proceeds from the auction will support the Museum’s mission to collect and care for a permanent art collection and present changing exhibitions in a variety of media. 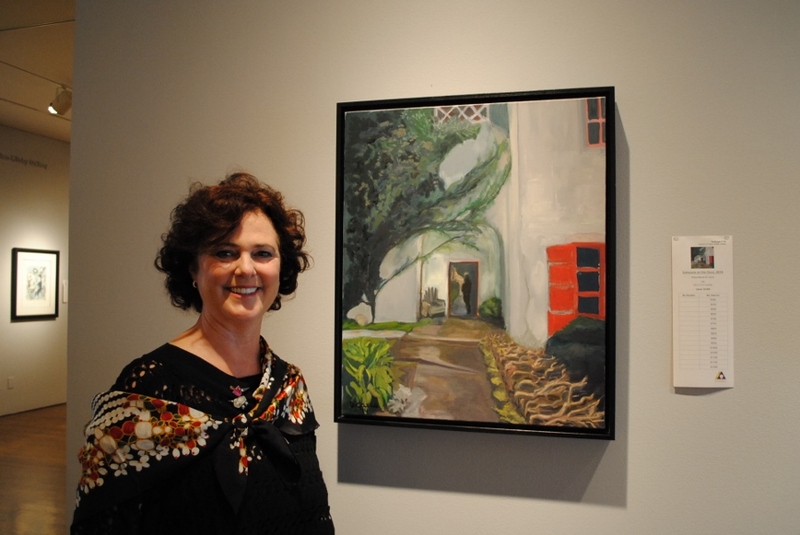 Featured artist Elissa DiCarlo said she was grateful for the opportunity to give back to the arts community. She has three pieces in the exhibition and has been working solely as an artist for the past four years after a career in interior and hospitality design. The proceeds will also assist the museum in continuing to provide engaging educational programming for youth and adults and serving over 12,000 school children and hundreds of families throughout greater Long Beach each year, programs that give children from every walk of life an opportunity to experience world-class art exhibitions and to explore their own creativity through hands-on art-making workshops. Marty said the museum’s education department is one of its most important assets. “You’re creating future art lovers and artists by bringing children in that may not have had an opportunity to experience anything in the visual arts,” she said. Nelson noted the majority of the funds raised will go toward educational programming. “I think as a museum, part of our history has always been to house and care for precious objects, but that means nothing unless the people that are looking at them know what they’re looking at, and so education is a huge part of that,” he said. Tickets for the event are $95 and can be purchased on the museum’s website, here. If you cannot attend the event, opportunity drawing tickets for $10 can be made online along with absentee bids.